ABC’s “Bachelor” franchise continues to grow, with the four-part “Bachelor Winter Games” airing in February, premiering just in time for Valentine’s Day. Contestants on the “Winter Games” will start their journey to find love on Tuesday, Feb. 13, ABC announced Monday. The series will continue on Thursday, Feb. 15, Tuesday, Feb. 20, and Thursday, Feb. 22. All episodes are two hours and will air on ABC at 8 p.m. EST. The series will start in Vermont, where 14 international contestants — from countries including Australia, Switzerland and Japan — will meet 12 American “Bachelor” and “Bachelorette” alumni to compete in winter-themed challenges, including winter biathlon and ice dancing. Winners of the challenges will receive date cards, and the search for love will follow. Fans can expect special appearances from U.S. figure skating pairs champions Tai Babilonia and Randy Gardner, and icon Nancy Kerrigan. 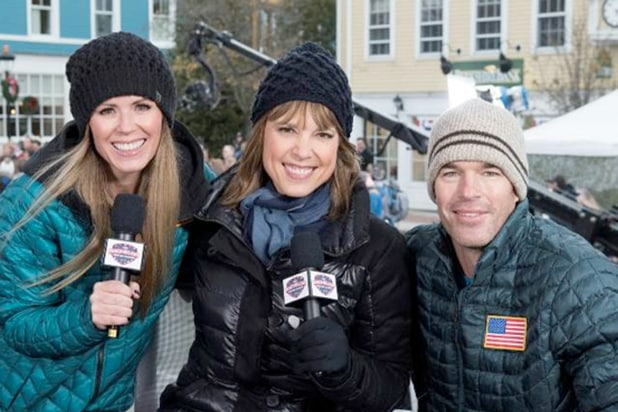 First-ever Bachelorette Trista Sutter and her husband Ryan –who won her season– will serve as the grand marshals of the games, joined by ESPN’s Hannah Storm, KABC-TV’s Ashley Brewer, and, of course, host Chris Harrison. Country music singer Ruthie Collins will perform during the premiere episode. ‘The Bachelor': Was Race a Factor in Arie Luyendyk Jr Getting the Gig?